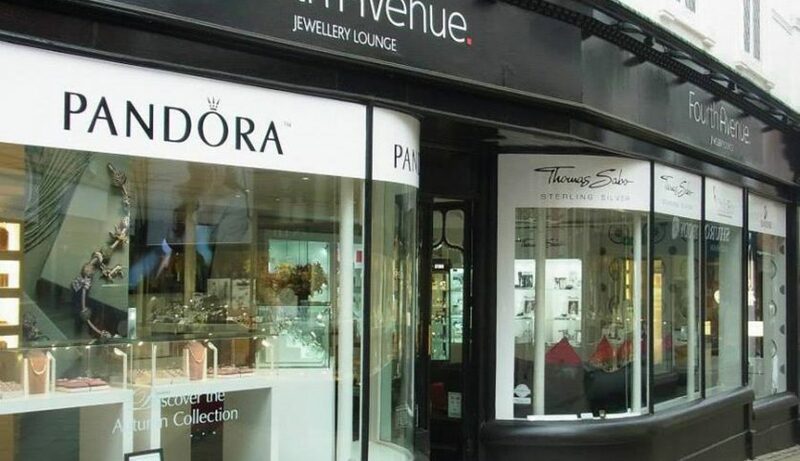 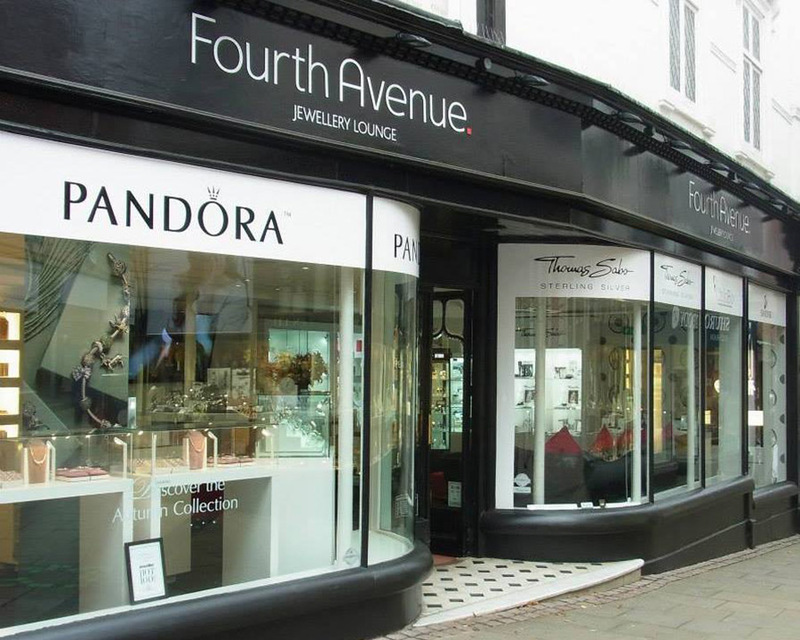 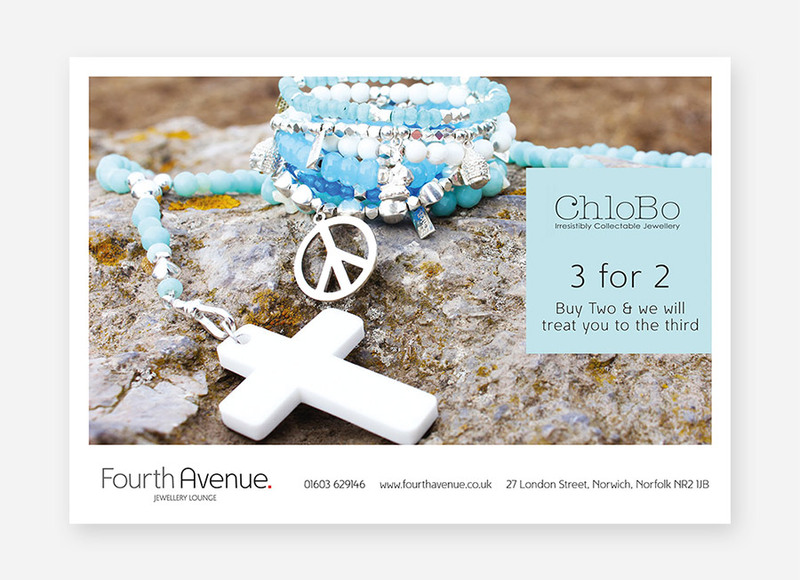 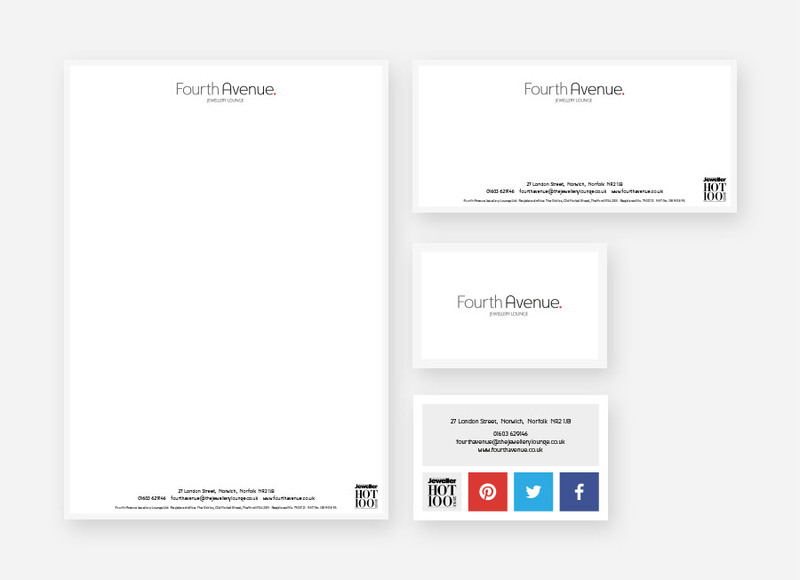 A new logo and visual identity designed for the Fourth Avenue Jewellery Lounge in Norwich. 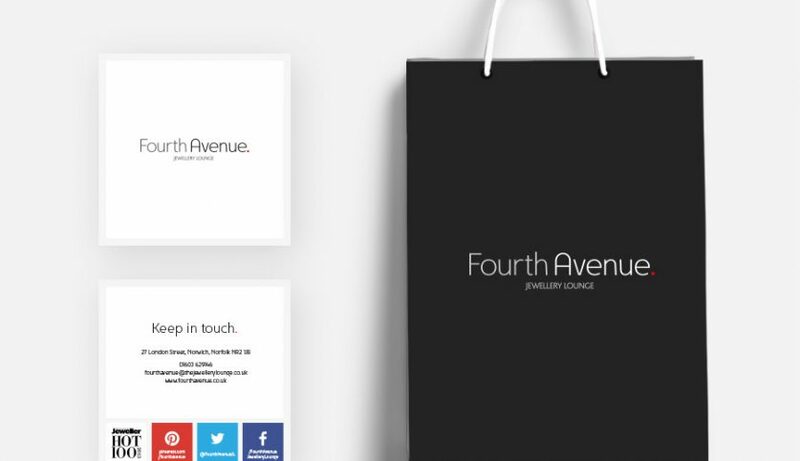 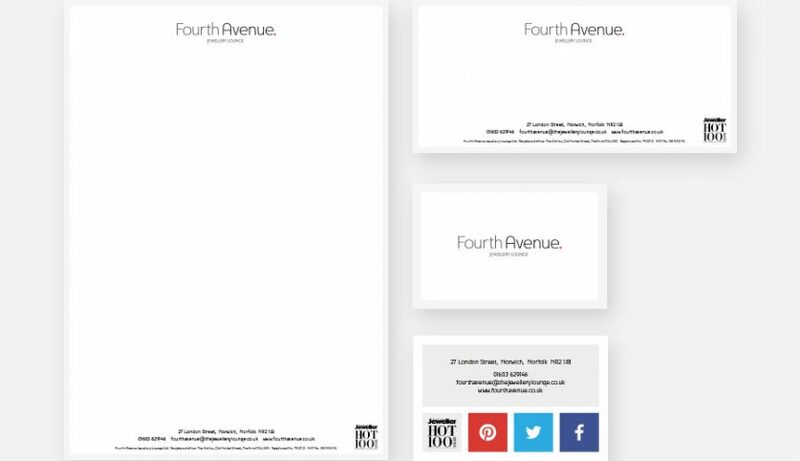 The examples below show how the logo and wider visual identity can be applied to the storefront, posters, flyers, advertising, stationery and online. 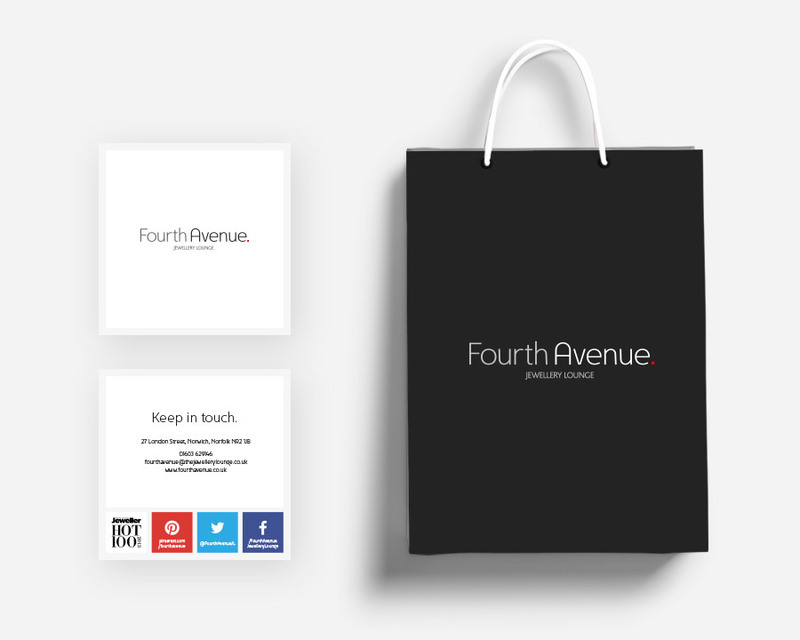 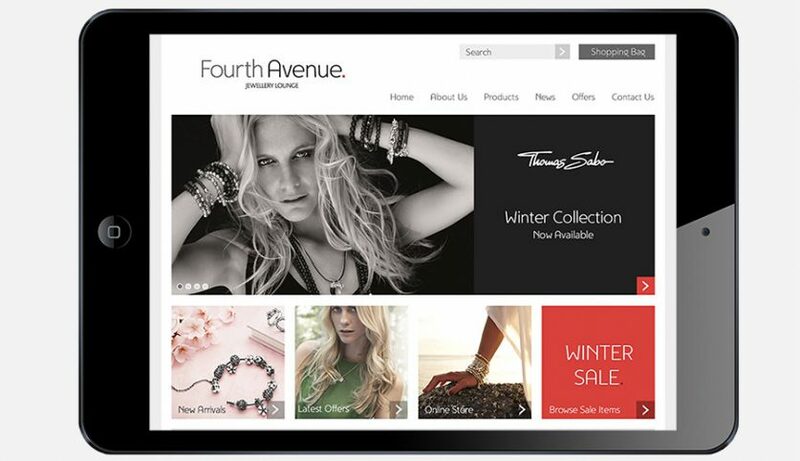 The identity was designed to have the flexibility to work with a range of product imagery and across a range of media formats while maintaining an appropriate balance between product and store branding.